Pewter Tankards are an outstanding choice as a commemorative gift for a special birthday or notable achievement, and the CEL300 is a beautifully designed example which gives a real aura of history. 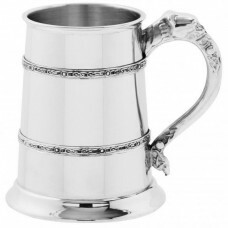 The straight sided body of the 13cm tall tankard has a highly polished finish that is broken at the top and bottom by Celtic style bands that run around the circumference of the tankard. This Celtic theme is then expanded upon by the elegant Celtic lion style handle which gives the CEL300 a real taste of grandeur. 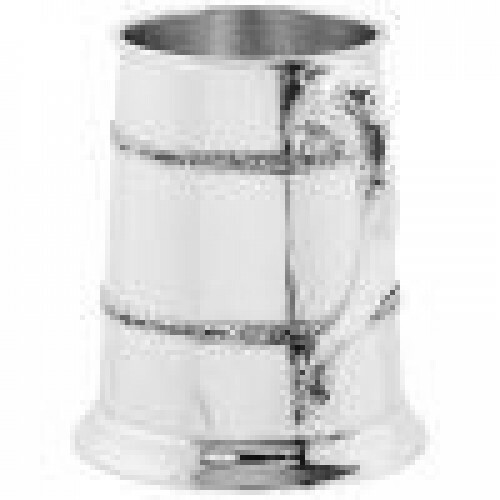 The mirror-like finish of the tankard makes it ideal for the addition of your own choice of engraving to make the gift truly personal, and it will arrive beautifully packaged in a stylish black presentation box.